A while back, I saw a demonstration of device which could pull enough water from thin air to keep an insulated tank full of a few gallons of clean pure cool water. The unit was plugged into an AC wall outlet but did not need any plumbing. I think this is a wonderful idea. 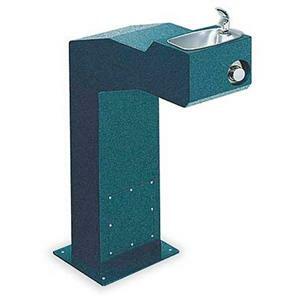 It sure beats man handling bottled water jugs. The system I saw used a refrigeration method to capture the water using a simple condensation technique. Air laden with water vapor is passed over chilled metal plates, causing dew to form on the plates. The dew is siphoned off, filtered, sterilized and then dumped into the insulated storage tank. I’m wondering if such a system might work outside, powered by a solar panel. 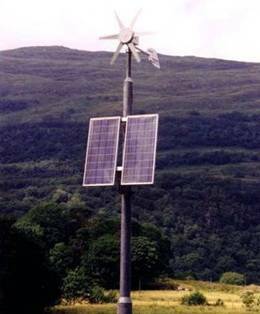 The solar panel would be mounted high on the pole, to keep it out of harms way. A small wind mill on top of the pole might also work. Such systems might be scattered out in a desert or on hiking trails, well away from any power or water source. A flag and even a blinking light might be mounted on top of the pole, so people some distance away would know where to get water. It could be a real life saver. Instead of the refrigeration method perhaps there are other ways to extract water from the air. There are some materials which can act as a water sponge. The sponge would be a solid material with a very high affinity for water vapor. Once it has captured sufficient water, the material might be heated by the sun, to drive off the water, where it is condensed and stored. 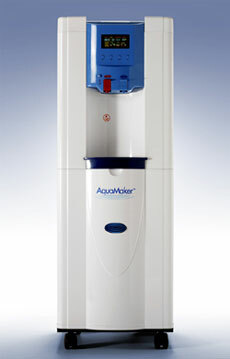 The high temperatures during the sweating process would also kill any bacteria in the water. The water would then be held in a storage tank, perhaps containing as much as 10 gallons. The dry sponge material would get recycled to capture more water. Another classic technique to extract water from air is to use the air itself as a refrigerant gas. Air is compressed with a rotary compressor. This process heats the gas. The hot gas is then routed through a number of radiator coils exposed to the ambient air. The cooler compressed gas is then sent to an expander. This rapid decompression cools the air. The cooler air can’t hold onto much water, so water precipitates out. The pipes routing the cool air in the expander can also help to condense more water by fans blowing air over the coils. I like this method since the compressor is the only moving part. Some energy would be needed to pump the collected water through the filters and into to the storage tank. UV lights might be added to sterilize the water. An interesting experiment would be to see if concentrated sunlight, which has a lot of UV light in it, could be used to help with the sterilization process. Let’s see if this is practical. Hot dry desert air will have a low relative humidity. After some research and calculations, this works out to about 4 grams of water per cubic meter of air. A cubic meter contains about 35 cubic feet. 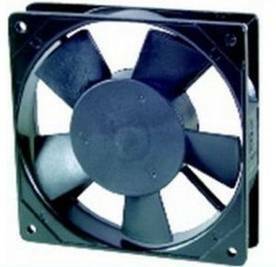 A single fan might be able to move about two cubic meters of air each minute. If we assume that only 50% of the water contained in the volume is actually captured, then about 4 grams of water per minute could be collected, even during the driest conditions with just one fan. Two fans might generate 8 grams per minute. This may seem like a pretty small amount but it does add up. If you run the two fans continuously for 24 hours each day, then 11,520 grams, 11.5 liters or 3 gallons of water could be captured each day. This seems like a reasonable amount. A 10 gallon reservoir would be filled in less than four days. To maintain that 10 gallon tank, as water is drawn off by users of the system, it might be nice to size the solar panel so the system could operate day and night by storing the excess power during the day for night operation. 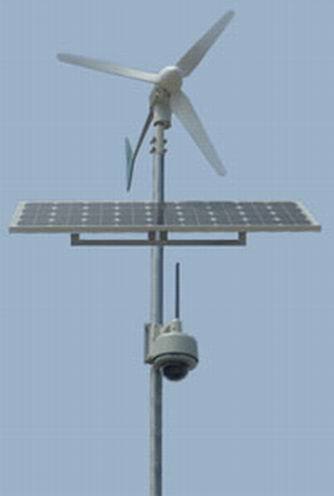 If a wind generator were included, then both power systems might be able to keep the water collection system running continuously. For some popular locations, say on a popular hiking trail, three gallons of water per day may not be enough. This means the system would have to be scaled up by collecting more air.